Check out Alemanys 5, a beautiful sixteenth century building in the center of Girona’s medieval quarter that has recently been converted into a very attractive rental option by architect Anna Noguera. 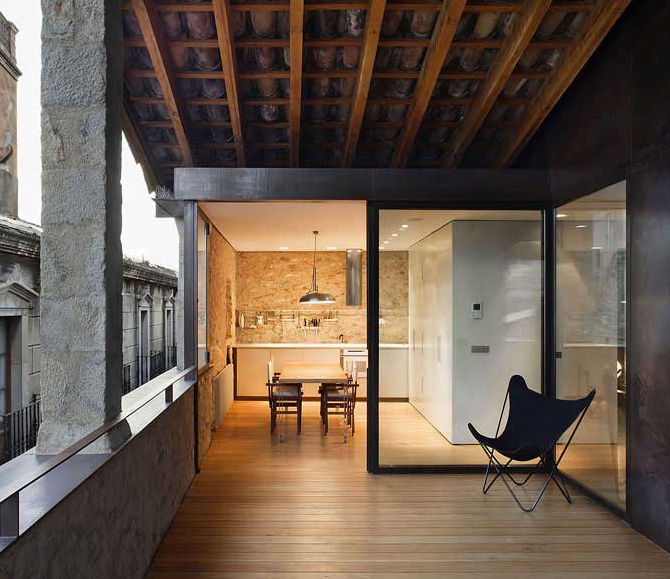 Its recent restoration integrates old and new, with sober, clean lines that celebrate essential elements such as space, light, shade, fire, stone, water and silence. We like the way the old features have been brought to the forefront by clever details, making this a truly luxurious place to stay without it showing of.